After a strong stretch of basketball, the Northwestern men fell to Doane 72-49 on Saturday. The Raiders split the season series with Doane after defeating the Tigers 80-70 in their first meeting. NW is now 14-10 overall and 8-7 in the GPAC. Doane snapped a five-game losing streak as they moved their record to 7-17, 4-12 in conference matchups. The Raiders fell behind early, needing a timeout after Doane stretched their lead to 11-2. Doane maintained the lead throughout the rest of the contest, but NW rallied back to cut their deficit to one with 3:23 left in the first half thanks to a transition layup from senior Parker Mulder. With 6:41 remaining in the game, the Tiger offense caught fire to stretch the lead to double digits on a layup by Joe Burt, gradually building to their 23-point victory. The Raider men struggled from the field, shooting 35 percent on the day and going 1-20 on three-point attempts. Doane shot 51 percent overall, including a scorching 62.5 percent from downtown. The low shooting performance for NW has proven to be a rare occurrence this season as the Raiders rank 10th in the NAIA in three-pointers made, making 11 per game, and also averaging 87 points per game. Sophomore guard Trent Hilbrands was the top scorer for NW, finishing with 14 points to go along with three rebounds. Koh Flippin led a balanced scoring attack for the Tigers, finishing with 14 points and eight rebounds. Doane gained 13 points each from Garran Pauli and Joe Burt to complement their efficient scoring effort. NW has five games remaining in the regular season, with two matchups against schools ranked in the NAIA Coaches’ Poll. On Saturday, the Raiders will face Concordia at 4:00 p.m. in Orange City. The Bulldogs are 14-12 overall, 6-10 in the GPAC following their win against Dordt on Wednesday night. 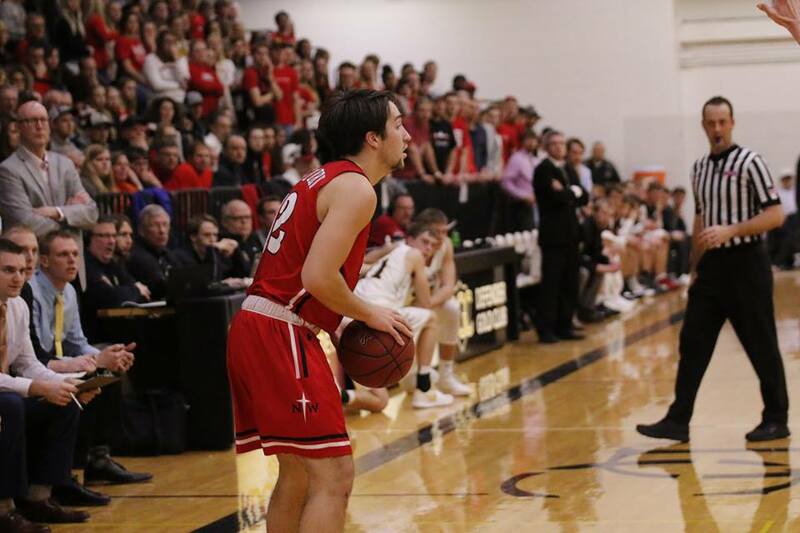 Saturday’s matchup will include two of the GPAC’s top 10 scorers, as NW is led in scoring by Trent Hilbrands with 18.7 points per game and Concordia’s top scorer is Brevin Sloup, who is averaging 16.7 points per game.